When seeking a transcription service, it is important to find a company that gets the job done in a timely manner and with a high degree of accuracy. Equally important, however, is staying within your budget and not overpaying for transcription. Knowing where to look enables you to find a company that offers the best of both worlds: impeccable attention to detail and competitive pricing. The following items should be on anyone’s checklist who is searching for the best and most affordable transcription service. All transcription is not created equal. A company known as the best in the industry for medical transcription might not be the best place to look when needing court or business documents transcribed. Any transcription company worth hiring has a well-developed website that details its experience and expertise. 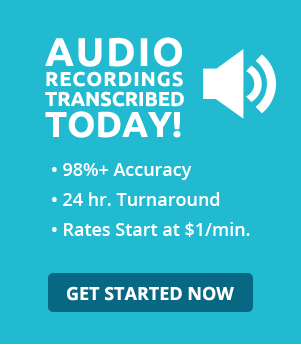 Compare several reputable companies to determine the best and most affordable transcription service for your unique needs. Decades ago, consumers, unless lucky enough to have friends and relatives who had done business with a company, faced great difficulty finding out what the company’s past customers thought of their experience. With the wealth of information available online, most established transcription companies have at least a few reviews out there. Study these carefully. If a company impresses you, appearing to offer quality and affordable transcription, but something mentioned in a review makes you wary, do not hesitate to contact the company and address the issue directly. Another place you can find most established transcription companies is on social media sites, such as Facebook, Twitter, Google Plus and LinkedIn. Social media is a great place to investigate a business because you can see the way in which it engages with its current, past and prospective customers. A company that replies quickly to questions and comments on its social media pages is likely customer-focused and easy to work with. Spending a little time online reviewing company websites, reading online reviews and engaging with transcription services on social media can guide you to the right company that can do the best job at the best price. To learn more about affordable transcription, follow @TranscribeCom on Twitter or visit Transcribe.com.